Something no one should miss if they are in the metro Detroit area. This is the show that i curated and organized. The opening was a great success I will post images from the exhibit soon as well as new paintings that I exhibited during the show. 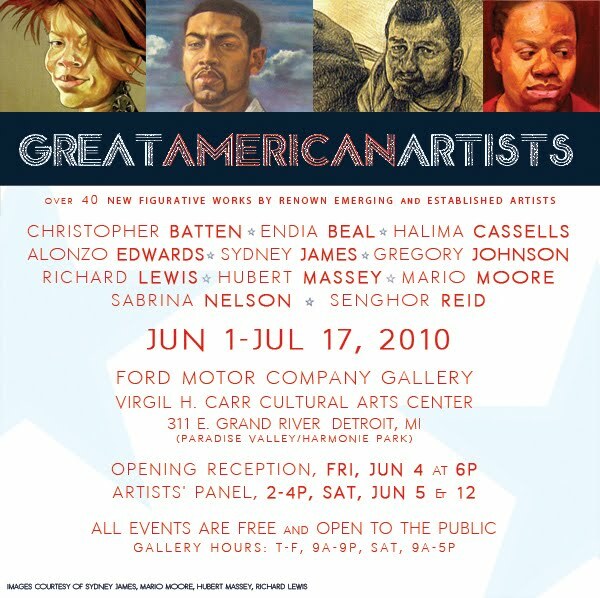 This coming Saturday is another artists panel featuring the 5 remaining artist from the show. The Artist that will be on the panel this Saturday will be Richard Lewis, Alonzo Edwards, Gregory Johnson, Sabrina Nelson and me. Please come to the Arts league of Michigan at 2pm on Saturday and ask as many questions about the show you can possibly think of. If you don't know now you know.